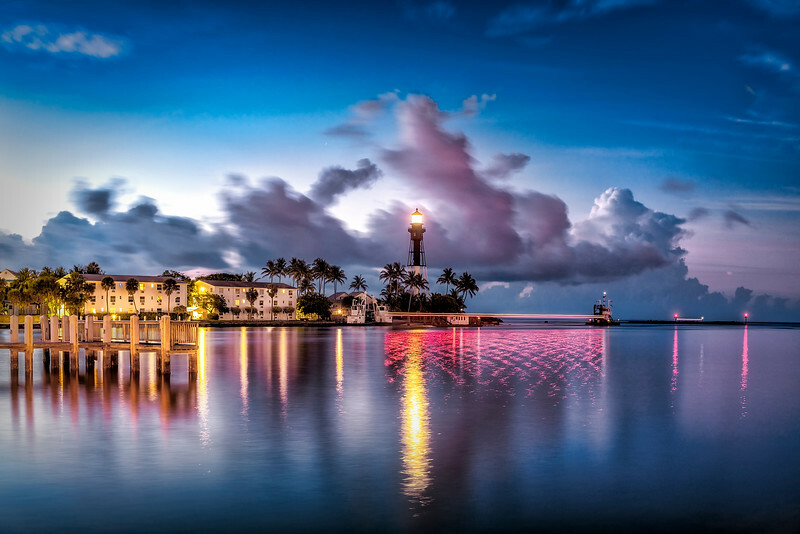 Early morning at Hillsboro Inlet Park before the break of dawn. The lighthouse still bright and beckoning all boats into harbor. Here, a small boat making it's way out to sea leaves a trail of red lights. Thank you for sharing such wonderful photos with the world. I am a huge fan of lighthouses. No two are alike, each one has its own personality and purpose, kind of like us! Keep up the great work!